There’s not much in “Cinderella” that you haven’t really seen before and that’s probably one of the film’s strengths. Even if it loses points for originality, it just seems to do everything right. 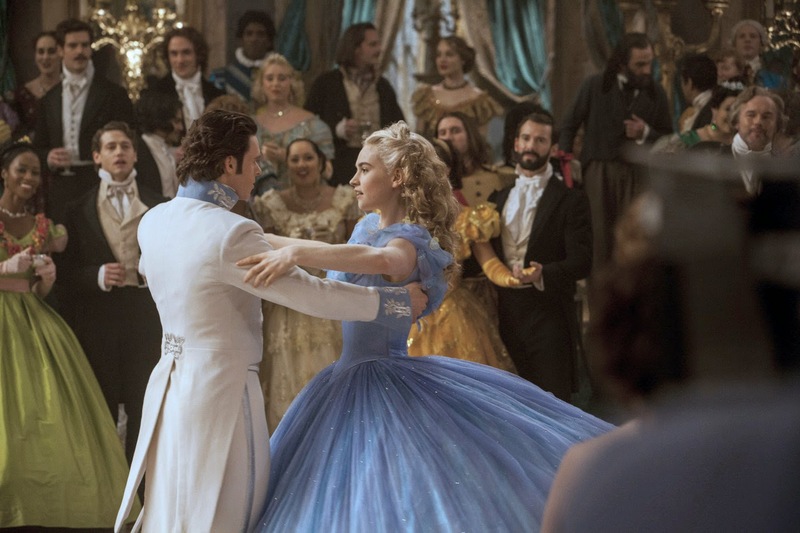 Far removed from the garish visuals and questionable plot elements of other live action Disney properties like “Maleficent” and “Alice in Wonderland,” this new cinematic “Cinderella” doesn’t alter much from it’s animated classic counterpart. After all, it’s a classic story, so why mess with it? If anything, it improves upon the Disney classic by fleshing out the characters and story a little more. And finally the relationship between Cinderella and the prince doesn’t quite feel as “oh I just met you and now I wanna marry you” creepy. Our live action Cinderella is played by Lily James and she’s perfectly fine in the role if not particularly outstanding. The real selling point, in terms of casting, is obviously double Oscar-winner Cate Blanchett as the evil stepmother Lady Tremaine. She’s perfectly cast and surprisingly restrained in the role, no performance here is as over-the-top as the lavish costumes. There’s not much that can be said about the film’s plot because it’s possibly the most well-known Disney story of all time. Cinderella is practically forced to be a servant in her own home by her mean stepmother and ugly stepsisters. However, since Cinderella is so kind her fairy godmother shows up and gives her a beautiful gown to wear to the ball where she meets the prince, and there’s a pumpkin carriage and glass slippers etc. However, here Cinderella actually meets Prince Kit (Game of Thrones’ Richard Madden) before the ball where he’s quickly smitten. The two share more screen time then I’d ever imagine and so for the first time you actually feel like these two characters might actually be meant for each other. 0806jejeMais, quand vous asics gel cumulus avis avez besoin de facilement et à moindre coût assurez-vous de ne pas être arrêté nike internationalist homme bronze pour parler au téléphone ou la distraction au nike blazer pas cher avis volant, alors le Jupiter Jack est un excellent moyen légal avis site new balance france pour obtenir vos conversations terminées et en aucun cas mettre votre asics gel runmiles forum auto, votre dossier de conduite, ou vos passagers dans nike air max thea premium femme kaki tout type de danger. Affiliés à un particulier et un nike air huarache femme solde autre et avec des compagnons de pratique, ils pourraient avoir chaussure new balance homme bleu des discussions savantes beaucoup plus fructueuses sur les progrès de leur asics gel stratus pas cher domaine. "Hello, Clarice." Welcome to my film review blog. I've been reviewing theatrical movies since 2005. In addition to writing movie reviews (not to mention best of year lists, Oscar predictions, and other fun movie-related lists) I have had reviews and articles published on DarkHorizons.com and at WhatCulture.com. I've also achieved my longtime dream of appearing on RottenTomatoes.com. My favorite film genre is horror though I have rather eclectic cinematic tastes. I can easily go from watching artsy stuff like Under the Skin to stupid action stuff like Transformers (but please dear lord make them stop). I also enjoy running, cooking, and eating the spiciest foods I can find.